Why so much in The Journal of Wild Culture about Trump? Other than that climate change progress is in serious jeopardy, it is that he and the rise of populism in general represent a political tsunami whose root causes we need to better understand, especially in order to respond effectively to what will happen next. In this essay, JWC Contributing Editor Henry Giroux writes that we are about to enter dark times "under a Trump regime that cannot be understood without an acknowledgement of the echoes of a totalitarian past." Plus, a list of what the executive branch said or did from January 19-24. President Donald Trump and an executive order with his signature, January 2017. HAMILTON, ONTARIO — The dark times that haunt the current age no longer appear as merely an impending threat. They have materialized with the election of Donald Trump to the presidency. Trump and his administration of extremists epitomize the dire dangers posed by those who longed to rule American society without resistance, dominate its major political parties, and secure uncontested control of its commanding political, cultural, and economic institutions. The consolidation of power and wealth in the hands of the financial elite along with the savagery and misery that signifies their politics is no longer the stuff of Hollywood films. If George W. Bush’s reign of fear mongering, greed, and war on terror embodied the values of a kind of militarized Gordon Gekko in 'Wall Street', Trump represents the metamorphosis of Gekko into the deranged and ethically-neutered Patrick Bateman in 'American Psycho'. Yet, Trump’s ascent to the highest office in America is already being normalized by numerous pundits and politicians, including Barack Obama, who are asking the American public to give Trump a chance or are suggesting that the power and demands of the presidency will place some restraints on his unrestrained impetuousness and often unpredictable behavior. History will judge kindly those who continued to shout, from the rooftops, against the corrosive drift of conformity. Normalization is code for a retreat from any sense of moral and political responsibility, and it should be viewed as an act of political complicity with authoritarianism, and condemned outright. What is being propagated by Trump’s apologists is not only a reactionary populism and some fundamental tenets of an American style authoritarianism, but also a shameless whitewashing of the racism and authoritarianism at the center of Trump’s politics. Little has been said about how Trump and his coterie of semi-delusional, if not heartless, advisors embrace a demented appropriation of Ayn Rand’s view that selfishness, a war against all competition, and unchecked self-interest are the highest human ideals. 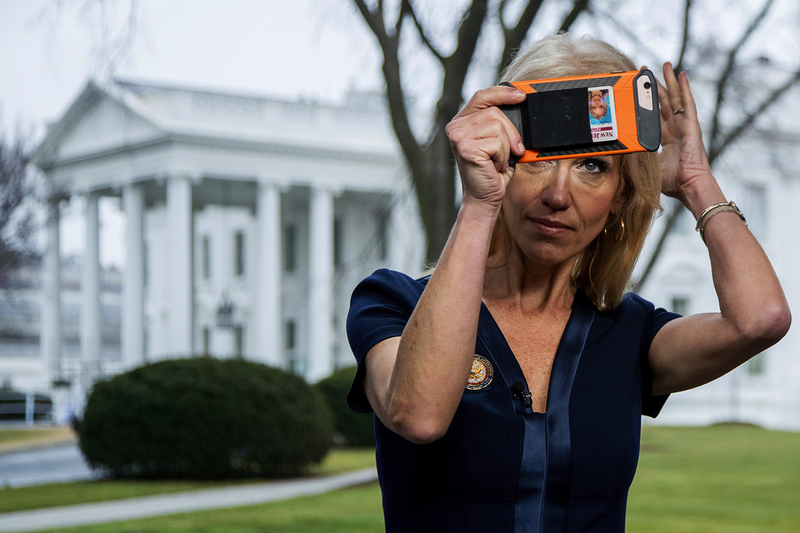 Counselor to the President, Kellyanne Conway, prepares to appear on the Sunday morning show, Meet the Press. In addition, arguments in defense of such normalization appear to overlook, with facile indifference, how the rhetoric of authoritarianism has become normalized in many parts of the world; and, that the Trump administration has clearly demonstrated an affinity with such hateful rhetoric. How else to explain the support that Trump has received from a number of ruthless dictators who head reactionary governments, such as the Philippines, Turkey, and Egypt, among others. Such a danger is all the more ominous given the current collapse of civic literacy and the general public’s increasing inability to deal with complex issues, on one hand, and the attempt, on the other, by those who maintain power to ruthlessly promote a depoliticizing discourse of lies, simplicity, and manufactured distortions. It is too easy to believe in a simplistic binary logic that strictly categorizes a country as either authoritarian or democratic, and leaves no room for entertaining the possibility of a mixture of both systems. American politics today suggests a more updated, if not different, form of authoritarianism — or what might be called the curse of totalitarianism. In Trump’s America, there are strong echoes of the fascism that developed in Europe in the 1920s and 1930s. For instance, there are resemblances to a fascist script in Trump’s scapegoating of the other; his claim that the United States is in a period of decline; his call to make America great again; his blatant appeal to ultra-nationalism; his portrayal of himself as a strongman who alone can save the country; his appeal to aggression and violence aimed at those who disagree with him; his contempt for dissent; his deep rooted anti-intellectualism or what Arendt called “thoughtlessness” (i.e., denial that climate change is produced by humans) coupled with his elevation of instinct and emotion over reason; his appeal to xenophobia, national greatness, and support for a politics of disposability; his courting of anti-Semites, white supremacists, and flirtation with the discourse of racial purity; his support for a white Christian public sphere; his use of a kind of verbal waterboarding to denigrate Muslims, black people, undocumented immigrants, and women’s reproductive rights; and, his contempt for weakness and his support for the dark side of hyper-masculinity. Euphemisms for a landscape of manufactured derangements and distortions constitute what might be called a culture of post-ethics. I argue in this essay that the dark period Americans are about to enter under a Trump regime cannot be understood without an acknowledgement of the echoes of a totalitarian past. With Trump’s election, the crisis of politics is accompanied by a crisis of historical conscience, memory, ethics, and agency exacerbated by an appeal to a notion of common sense in which facts are regarded with disdain, words reduced to slogans, and science confused with pseudo-science. Under such circumstances, language is emptied of any meaning and constitutes a flight from ethics, justice, and social responsibility. As language becomes devoid of any meaning, the American public is inundated with empty slogans such as “post-truth” and “fake news” — euphemisms for a landscape of manufactured derangements and distortions that constitute what might be called a culture of post-ethics. 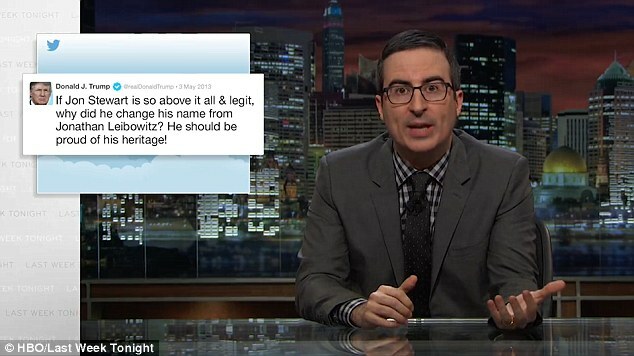 Last Week Tonight's John Oliver and Trump's tweet about Jon Stewart. This culture is part of what Todd Gitlin calls “an interlocking ecology of falsification that has driven the country around the bend.”15 Against the background of an infantilizing culture of immediacy, spectacle, and sensationalism, Trump will govern as if he is running a reality TV show, endlessly performing for an increasingly depoliticized public. But there are more dangers ahead than the toxic seduction of politics as theater and the transformation of the mainstream media as an adjunct of the entertainment industry, or, for that matter, a growing distrust of democracy itself. Under casino capital, the alleged celebration of the principle of a free press hides more than it promises. Noam Chomsky, Bill Moyers, and Robert McChesney, among others, have observed that mainstream media now work in conjunction with the financial elite and the military-industrial-academic complex as an echo chamber, while further indulging in the rituals of shock, celebrity culture, and spectacularized violence in order to increase their ratings. Earlier this year, Les Moonves, CEO of CBS, stated that his network’s inordinate and disastrous coverage of Trump “may not be good for America but it’s damn good for CBS.”16 Moonves openly gloated not only because the network was pumping up its ratings, but was also getting rich by inordinately covering Trump’s presidential campaign. As he put it, “[T]he money’s rolling in … [T]his is going to be a very good year for us . . . It’s a terrible thing to say, but bring it on, Donald. Go ahead. Keep going.”17 Moonves made it clear that the power of mainstream media in general has little to do with either pursuing the truth or holding power accountable. On the contrary, its real purpose was to normalize corruption, lies, misrepresentation, accumulate capital, and allow the transformation of the press to become an adjunct of authoritarian ideologies, policies, interests and commodified values — if that is what it takes to increase their profit margins. Normalization is about more than dominating media outlets being complicit with corrupt power or willfully retreating from any sense of social responsibility; it is also about aiding and abetting power in order to increase the bottom line and accumulate other cowardly forms of power and recognition. This is evident in the fact that some powerful elements of the mainstream press not only refused to take Trump seriously, they also concocted embarrassing rationales for not holding him up to any viable sense of accountability. For instance, Gerard Baker, the editor-in-chief of The Wall Street Journal, publicly announced that in the future he would not allow his reporters to use the word 'lie' in their coverage. This is more than a retreat from journalism’s goal of holding people, institutions, and power to some measure of justice; it also legitimizes the kind of political and moral cowardice that undermines the truth, informed resistance, and the First Amendment. While such actions may not rise to the level of book burning that was characteristic of various fascist and authoritarian regimes in the past, it does mark a distinctive retreat from historical memory and civic courage that serves to normalize such actions by making dissent appear, at best, unreasonable and, at worse, an act of treason. Such actions become apparent in efforts by the mainstream press to rage against the rise of fake news, suggesting that, since they are not part of such attempts, their integrity cannot be questioned. Of course, fake news is a euphemism for deliberately lying and collapsing the line between facts and fiction, the truth and falsehoods. By that definition, lying is about more than fake news, it is central to the need to manufacture consent in the interest of implementing polices, constructing identities, and shoring up values that serve a wide range of unsavory political and ideological interests. The slippery nature of the term fake news is on full display, particularly when used by Trump and his merry band of liars to dismiss anyone or any organization that holds him accountable for his fabrications. Hence, there were no surprises when Trump at his first president-elect press conference refused not only to take questions from a CNN reporter because his network had published material critical of him, but he justified his refusal by labeling CNN as fake news — reducing the term to a slogan used to silence the press. Clearly, we will see more of this type of bullying repression and censorship; but it will not be aimed just at mainstream outlets such as CNN, but will also eventually be used to smear all manner of alternative social media, such as Truthout, Tikkun, Counterpunch, TomDispatch.com, Democracy Now, and others. Traditional democratic public spheres, such as higher education, will also feel the brunt of such an attack. 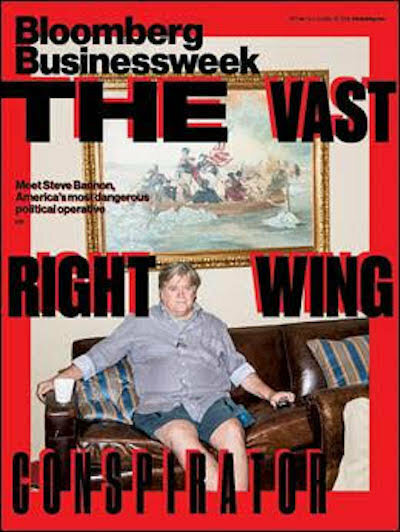 Magazine cover, featured personality Steve Bannon, White House Chief Strategist. Normalization has many registers and one of the most important is the control by the financial elite over commanding cultural apparatuses that produce, legitimize, and distribute highly selective media narratives that shore up the most reactionary ideologies and financial interests. The mainstream press says little about how such actions serve as an apology for the egregiously reactionary nature of Trump’s ideology and policies. Moreover, they fail to note how distortions of the truth, the endless production of lies by governments, politicians, and corporations, along with the media’s flight from civic literacy, serve to bolster authoritarian societies willing to distort the truth, while simultaneously suppressing dissent. Under such circumstances, it should not be surprising that Trump’s authoritarian and hateful discourse, threats of violence, loathing of dissent, and his racist attitudes towards Muslims, black people, and Mexican immigrants are downplayed in the mainstream media. These structured silences have become more and more apparent given the benign manner in which the supine press, and its legion of enervated anti-public intellectuals and pundits, treat Trump’s endless night-time Twitter outpourings and his incessant choreographed public fabrications. For instance, The Wall Street Journal’s refusal to address critically Trump’s endless lies and insults is matched by the high brow New Yorker’s publishing of a piece on Trump, which largely celebrates uncritically how he is viewed by conservative intellectuals such as Hillsdale College president Larry Arnn. Arnn supports Trump because he shares Arnn’s view that “the government has become dangerous.”18 If he were referring to the rise of the surveillance and permanent war state, it would be hard to disagree with Arnn. Instead, he was referring to the government’s enforcement of “runaway regulations.”19 What Arnn and The New Yorker ignore is the fact that the real danger the government poses is the result of it being in the hands of demagogues, such as Trump, who are truly dangerous and threaten the planet, American society, and the rest of the world. While The New Yorker staff writer Kelefa Sanneh mentions Trump’s connection to the “alt-right,” he underplays the group’s fascist ideology and refuses to use the term "white supremacy" in talking about such groups, reverting instead to the innocuous term, "white identity politics. "20 Trump’s misogyny, racism, anti-intellectualism, Islamophobia, and hatred of democracy are barely mentioned. Sanneh even goes so far as to suggest that since Trump has disavowed the “alt-right,” his connection to neofascist groups is tenuous. This is more than an apology dressed up in the discourse of ambiguity; such reporting is a shameful retreat from journalistic integrity, an assault on the truth, and constitutes an egregious act of normalization. Progressives need a new language of critique and possibility, one that embraces a movement for a world of love, courage, and justice . . . This is only one example of what is surely to come in the future under Trump’s rule. Under Trump’s regime of economic, religious, educational, and political fundamentalism, compassion and respect for the other will be viewed with contempt, while society will increasingly become more militarized and financial capital will be deregulated in order to be free to engage in behaviors that put the American public and planet in danger. A form of social and historical amnesia will descend over American society like a poisonous virus. A culture of dumbness and civic illiteracy will be produced and legitimated along with a culture of fear that will enable a harsh law and order regime. Policies will be enacted in which public goods such as schools will be privatized, and a culture of greed and selfishness will be elevated to new heights of celebration. There will be a further retreat from civic literacy, civic courage, and social responsibility, one matched by a growing abandonment by the state of any allegiance to the common good. Fear and the threat of state violence will shape how problems are addressed, and a growing culture of dissent will be ruthlessly suppressed in all of the public spheres in which it has functioned in the past. The free-market mentality that gained prominence under the presidency of Ronald Reagan will accelerate under the Trump administration and will continue to drive politics, destroy many social protections, celebrate a hyper-competitiveness, and deregulate economic activity. Under Donald Trump’s reign, all human activities, practices, and institutions will be subject to market principles and militarized. The only relations that matter will be defined in commercial terms, just as civil society will be organized for the production of violence. It is most likely that the most dangerous powers of the state will be unleashed under Trump, possibly on the environment, public and higher education, protesters, poor black people, Muslims, and undocumented immigrants. Surely, all the signs are in place given the coterie of billionaires, generals, warmongers, Islamophobes, neoliberal cheerleaders, and anti-public demagogues Trump has appointed to high-ranking government positions. Americans may be on the verge of witnessing how democracy ends and this is precisely why Trump’s election as the president of the United States cannot be normalized. At issue here is the urgent necessity to produce a collective effort that enables a level of critical thinking, civic literacy, and political courage that will inspire and energize a massive broad-based struggle intent on producing ongoing forms of non-violent resistance at all levels of society. Rabbi Michael Lerner is right in insisting that progressives need a new language of critique and possibility, one that embraces a movement for a world of love, courage, and justice, while being committed to a mode of nonviolence in which the means are as ethical as the ends sought by such struggles.22 Such a call is as historically mindful as it is insightful, and it draws upon legacies of nonviolent resistance as diverse as those called for by renowned activists such as Saul Alinsky, Paulo Freire, and Martin Luther King, Jr. Yet, in spite of their diverse projects and methods, these modes of nonviolent resistance all shared a commitment to a collective and fearsome struggle in which nonviolence strategies rejected passivity and compromise for powerful expressions of resistance. Such struggles, to be successful, will have to be coordinated, fearless, and relentless. Single-issue movements will have to join with others in supporting both a comprehensive politics and a mass collective movement. We live at a time in which totalitarian forms are with us again. 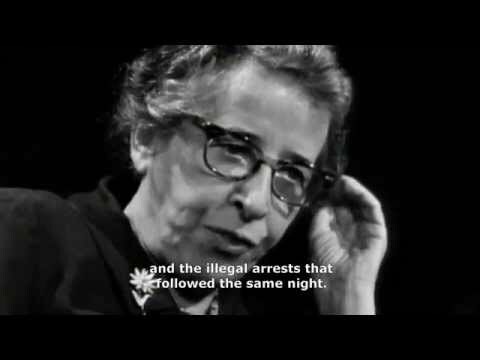 American society is no longer at the tipping point of authoritarianism; we are in the midst of what Hannah Arendt called “dark times” and individual and collective resistance is the only hope we have to move beyond this ominous moment in our history. 10. Hannah Arendt, The Origins of Totalitarianism, (Houghton Mifflin Harcourt, New York: 2001). Sheldon S. Wolin, Democracy Incorporated: Managed Democracy and the Specter of Inverted Totalitarianism, (Princeton University Press, 2008). 11. Marie Luise Knott, Unlearning With Hannah Arendt, trans. by David Dollenmayer, (Other Press: New York, NY. 2011, 2013), p 17. 13. The following three paragraphs draw from previous work in Henry A. Giroux, “Barack Obama and the Resurgent Specter of Authoritarianism,” 3:4 JAC (2011), pp. 415-440. 14. Robert O. Paxton, The Anatomy of Fascism. (USA, N.Y.: Vintage Books, 2005), p. 208. • NOAM CHOMSKY: How to Deal with the Trump Presidency. "There are plenty of opportunities . . ." (Video). • Political philosopher MICHAEL SANDEL on the seeds of anti-neoliberalism (Interview). of Community Oriented Policing Services. of Electricity Deliverability and Energy Reliability. 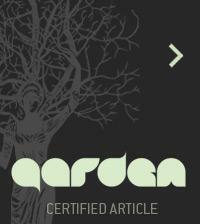 of Energy Efficiency and Renewable Energy. for the 2009 and 2017 inaugurations. inauguration had the largest audience of any in history, period. Spicers lies as alternative facts on national television news. of strange, paternal affection, before hugging him with a pat on the back. illegally thus costing him the popular vote. voted illegally thus costing DT the popular vote. March, the largest inauguration related protest in history. authorized and vetted by the White House. the House for a vote. Our thanks to PC of Toronto for this.